Maritime Pacific Brewing just announced that it is about to launch a new series of beers. The Regatta Series consists of four specially designed IPAs, which the company will release over the next four months. Each beer is a tribute to a legendary America’s Cup Race, making use of experimental and international hop varieties. The brewery will release the Cutter Class IPA this Saturday, June 11th (National Marina Day) at the Shilshole Bay Marina Beer Garden. There are more details about the entire fleet of beers in the press release below. Keep an eye on the Maritime Pacific Facebook page for more details about upcoming releases. 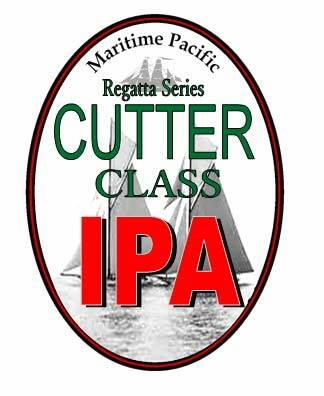 Maritime Pacific Brewing Company announces the launch of its 2016 “Regatta Series IPAs”. As the history of boat racing has always provided the opportunity to showcase superior boat handling skill and design, so our new Regatta Series of fine IPAs is crafted to outdistance the competition in the increasingly crowded world of craft brewing. Over the next four months, Maritime will be launching one-of-a-kind, specialty IPAs designed by Head Brewer Matthew Schumacher around known American and unique experimental hops, in combination with other hops from around the world. The names for this fleet of beers in the first Regatta Series are based upon the legendary America’s Cup Race, which kicked-off in 1851 with a race around the Isle of Wight and for which the schooner “America” took home the prize. Fittingly, the first IPA in the new Regatta Series will sail into the Seattle market on no other than National Marina Day, Saturday, June 11, 2016, at the Shilshole Bay Marina Beer Garden. Beer and wine proceeds from this annual event held by the Port of Seattle at Shilshole Bay Marina in Ballard will benefit the Leukemia/Lymphoma Society and Las Senoritas Girls Drill Team. Our first Regatta Series IPA celebrates the Cutter Class of boats, from which sprang one of the largest of all America’s Cup defenders, the “Reliance”. Boasting an impressive 201 feet in length over all, a 196-foot mast and over 1600 square feet of sail area, Reliance was massive and unbeatable in her day. Next, we move on to herald the J-Boat Class, which helped make competition more affordable by reducing the overall boat length to a more manageable 76 to 86 foot range and changing the old gaff rigging to the Bermuda rig still in use on sailboats today. Following the J-Boat Class will be our tribute to the famous 12 Meter Class, in which competition became especially fierce and the coveted America’s Cup trophy lost and regained once again to America. And finally, finishing this Regatta Series will be our salute to the current Wing Foil Catamaran Class, the AC 72, at its best the fastest sailing boats on the water today. What better way to toast the start of the 2016 sailing season than with a new Maritime Regatta Series IPA? Look for “The Cutter Class IPA” at the Marina Day Beer garden on June 11tt, and remember, all proceeds go to helping others. Cheers. Bold citrus nose with a soft malt body and grapefruit finish. Hopped with Yakima Amarillo and New Zealand Green Bullet Hops. I had two-pints of the “Cutter Class IPA” on the 15th of June, in their Jolly Roger bar. Maritime’s best IPA I have drank.